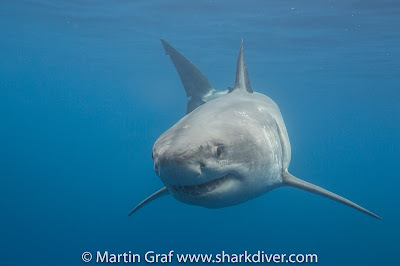 Home / Industry Blog / gopro / Which sharks are back at Guadalupe Island? Great White Shark “Lucy” in the media. 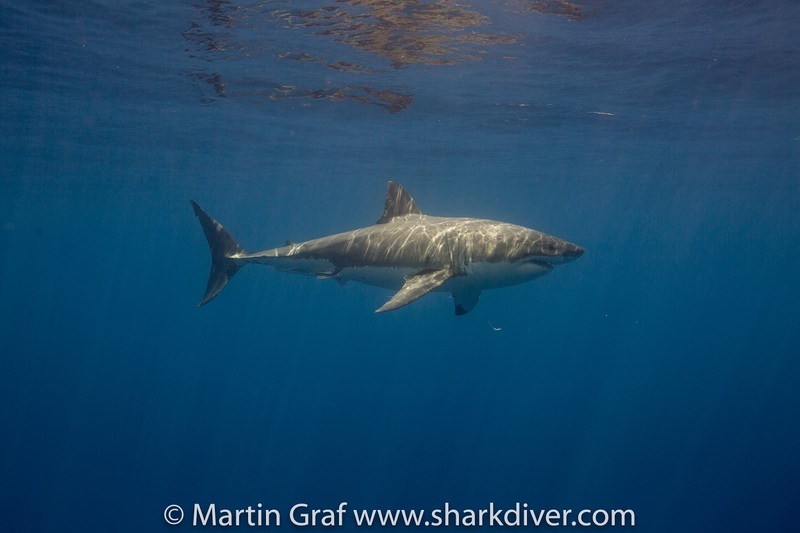 We just came back from our first expedition of the year to Guadalupe Island, where we saw 12 different sharks. 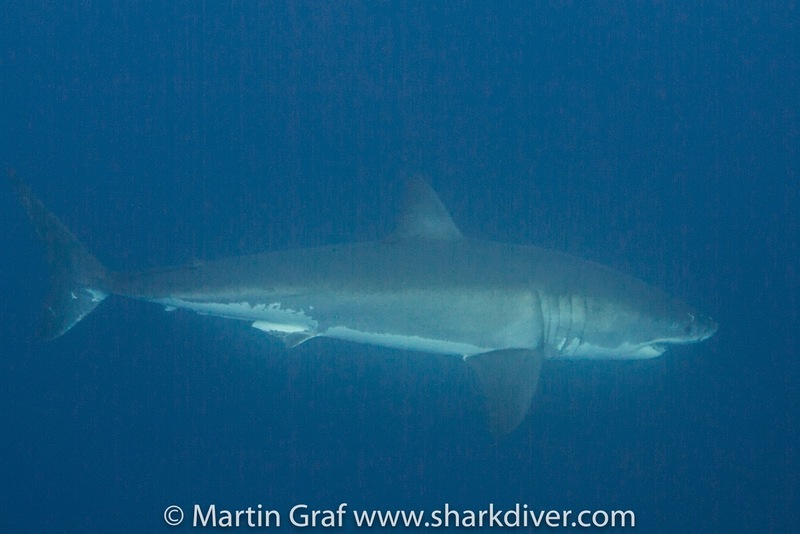 As is usual for this time of the year, the smaller males were the most frequent visitors to our cages. 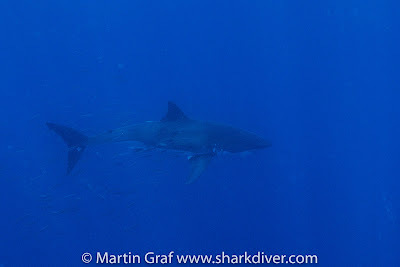 On our trip we saw the following sharks that are all in our photo ID database. 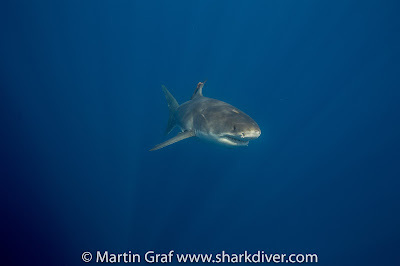 #107 Atlantis: He was the first shark that showed up on day one and stayed around all day. 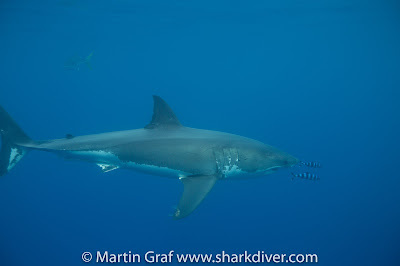 #65 Johnny: He came really close to show off his new mutilation to his tail. He's now sporting a cut in the center of his caudal fin. 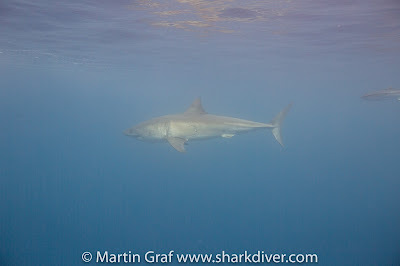 #206 Poseidon: He was super active and made may close passes by the cage. #97 Drogin: Drogin was his usual self. 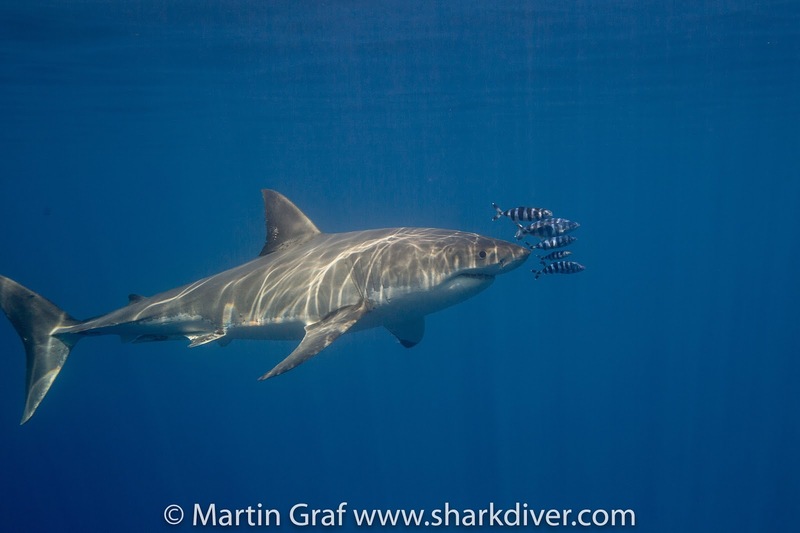 He's a super active shark, coming at the cages from all different directions, trying to steal a hang bait. #188: We can't leave this shark without a name! How would you like to name him? Contact http://www.marinecsi.org/ and sponsor his name! Make it a cool one! He deserves it! 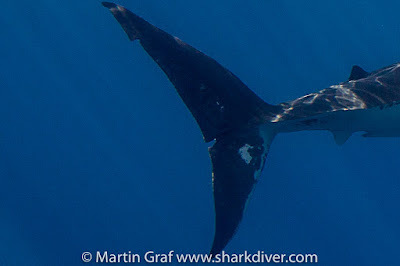 #149 Kenrick: He was one of the bigger males that showed up and swam around like he's the boss. 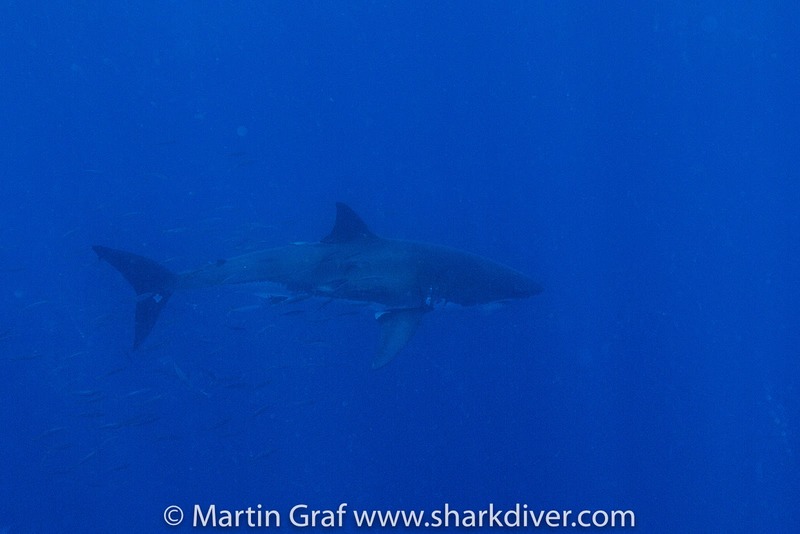 He's still a sub-adult though and won't be the dominant one, once Bruce, Bite Face, Thor etc. show up. 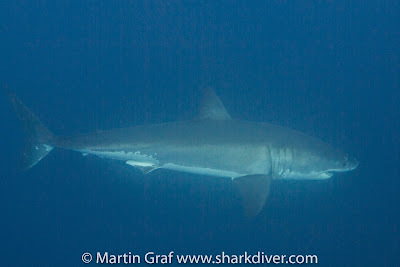 #168 Sad Face: He was named last year, because he had bite marks that looked like a sad face on his side. This year those marks were barely noticeable, so it's a good thing that we can use the color markings to positively identify him. #121 Don Julian: He's growing up. Last time I saw him, he was probably close to a foot shorter than he is now. Maybe in a couple of years he'll be mature. #199 Who wants to name this awesome shark? 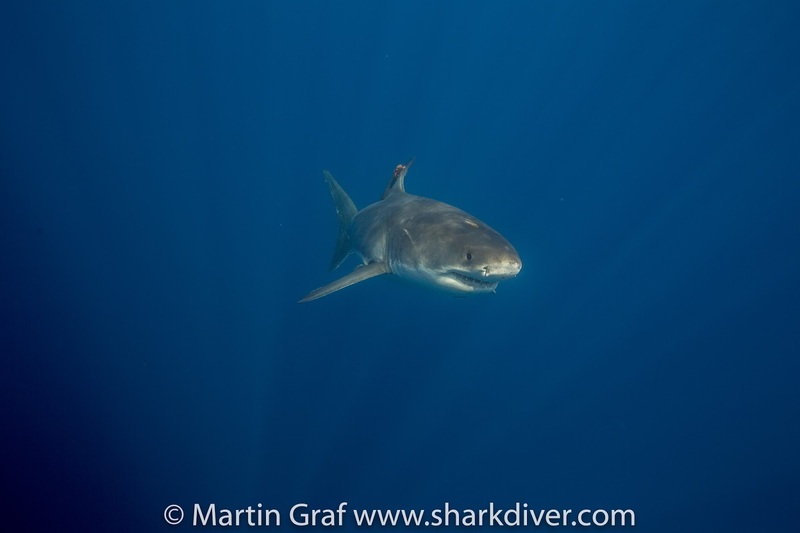 Contact the Marine Conservation Science Institute to sponsor his name. #83 Joker He was pretty shy and didn't come close. We also saw a young male with a cookie cutter bite on his head, but I didn't get any photos of him, so I couldn't identify him. Tonight we leave for another trip. 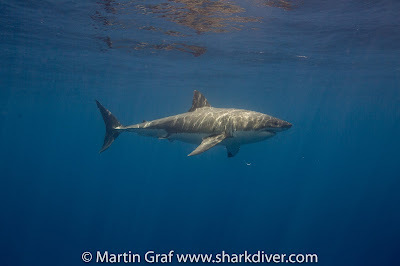 I can't wait to see who else is back at Guadalupe and am ready to meet some new sharks. 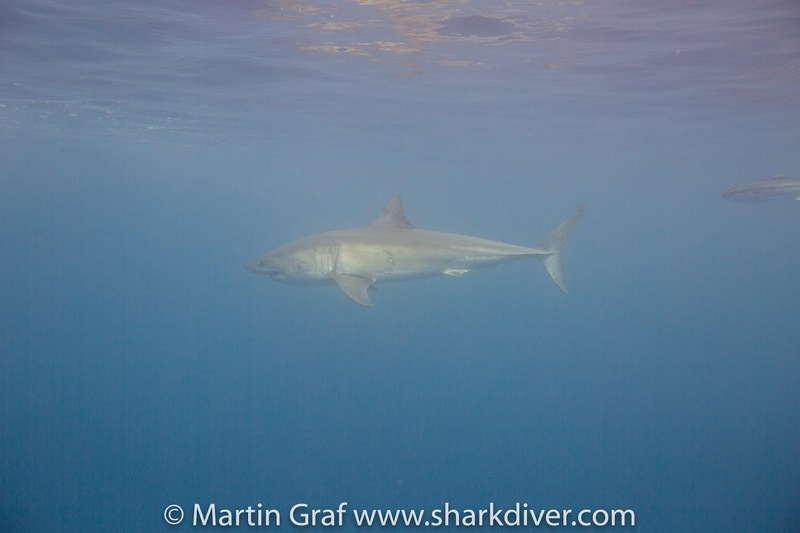 Last year we added 29 new sharks to our database, how many will it be this year? 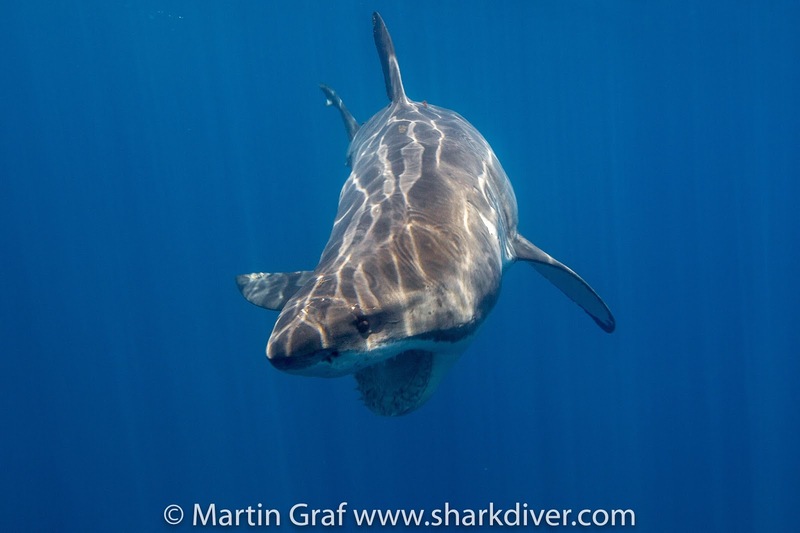 Come join us and get to know these awesome creatures. 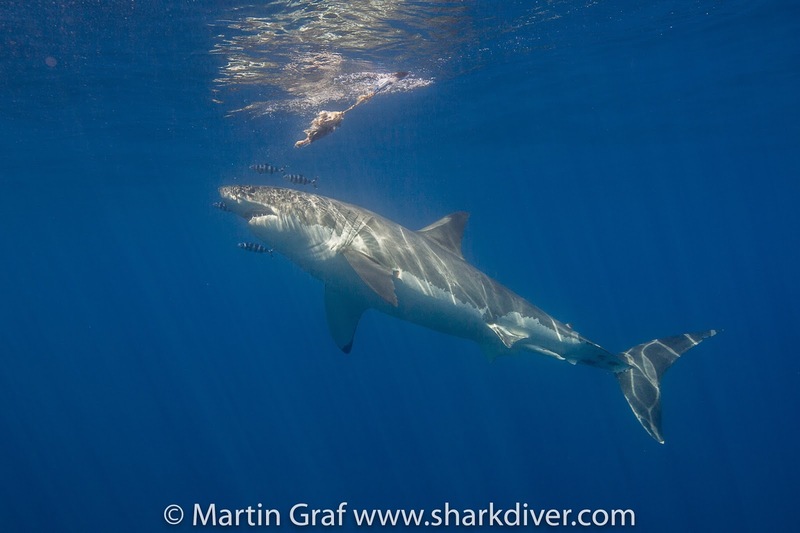 How great would it be to know the individual shark, next time you watch shark week? Call 619.887.4275 or email crew@sharkdiver.com for more information on how to join. 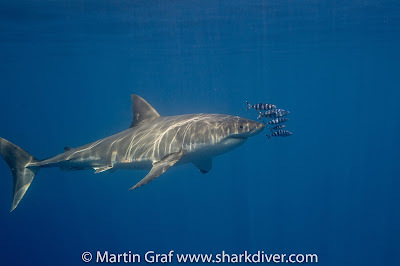 By Shark DivergoproComments Off on Which sharks are back at Guadalupe Island?